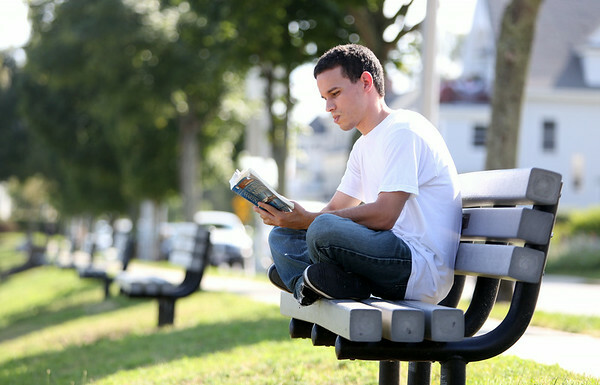 Orlando Estevez, of Beverly, sits on a bench at Independence Park in Beverly on Monday afternoon reading George R.R. Martin's Game of Thrones. DAVID LE/Staff photo. 7/28/14.